Ok, first off Mars sky at sunset...best til last as always. Obvious storm clouds top, and mist or rain bottom? And another,...pretty obvious that rain clouds are present. And this? 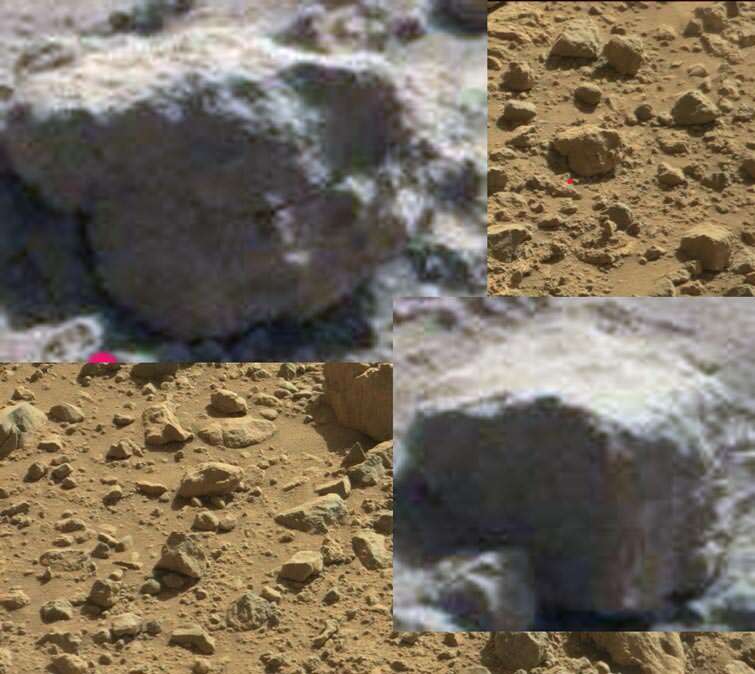 Several ref, rocks show this, so it isn't a rock detail, bottom image show what is probably the rovers wheel, on the right, since it isn't there on the top image, and the CP only shows coffee, gray. Best guess that this is a dead tree. 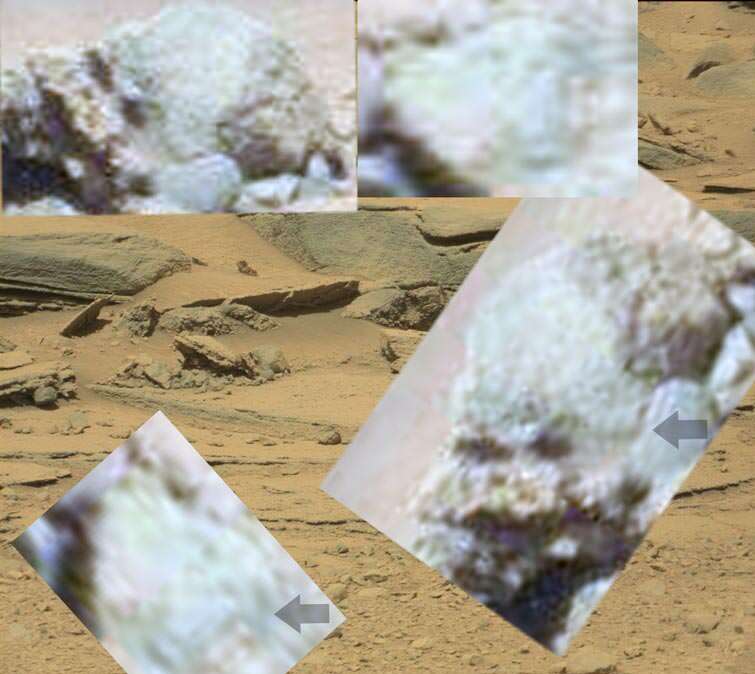 And this which shows a dead tree or plant, the top is green, possibly a prickle plant like we get in Earths deserts? A pretty good look at a tree, white trunk, and obvious signs of branches and leaves. CP shows strong areas of green. 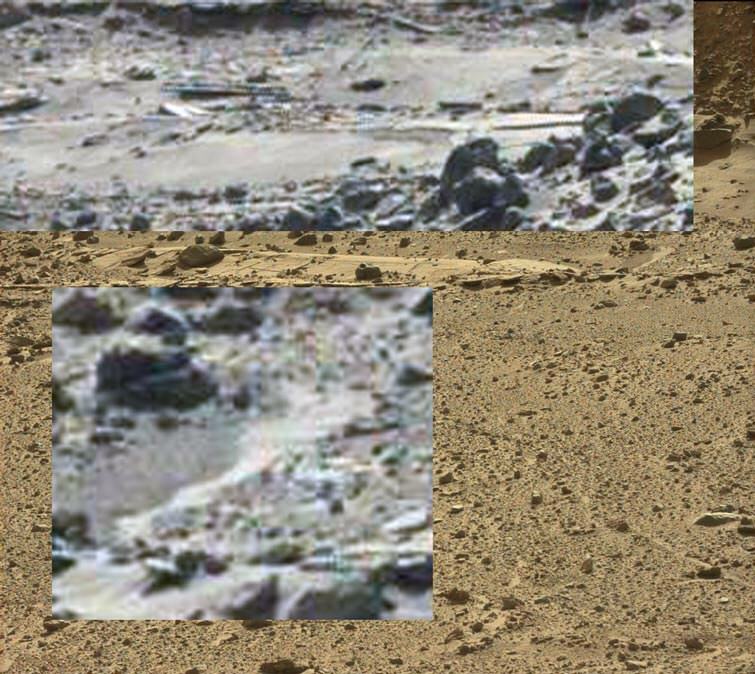 It appears we have two pics from NASA of the same area. 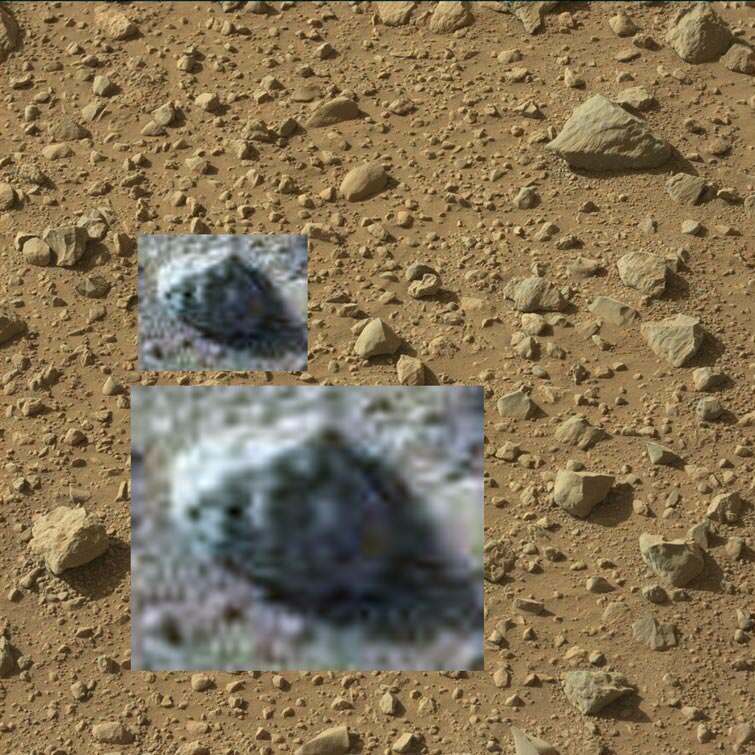 In one we can see an insect-like form. In the other it appears not to be there...which of course suggests that the "insect" moved. V. interesting I think. 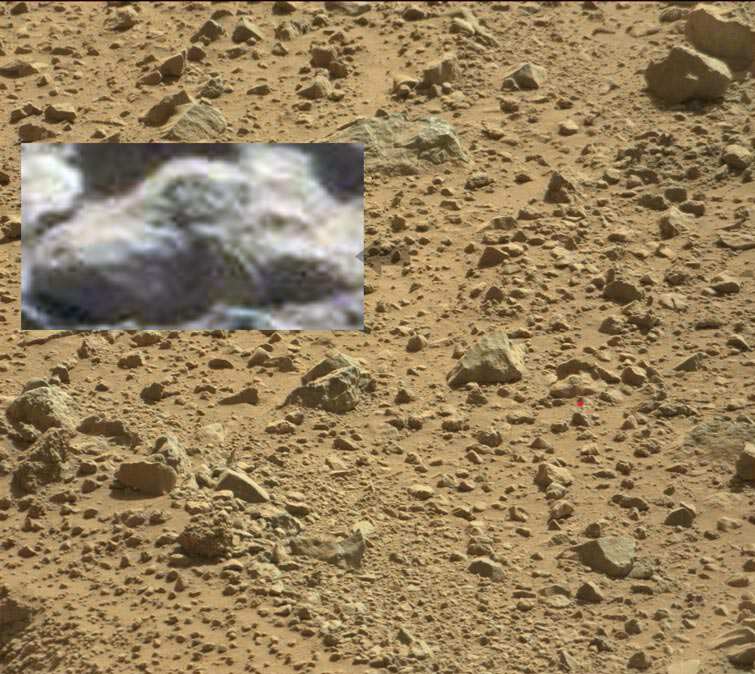 Could be one of the strongest ever confirmations of life on Mars. 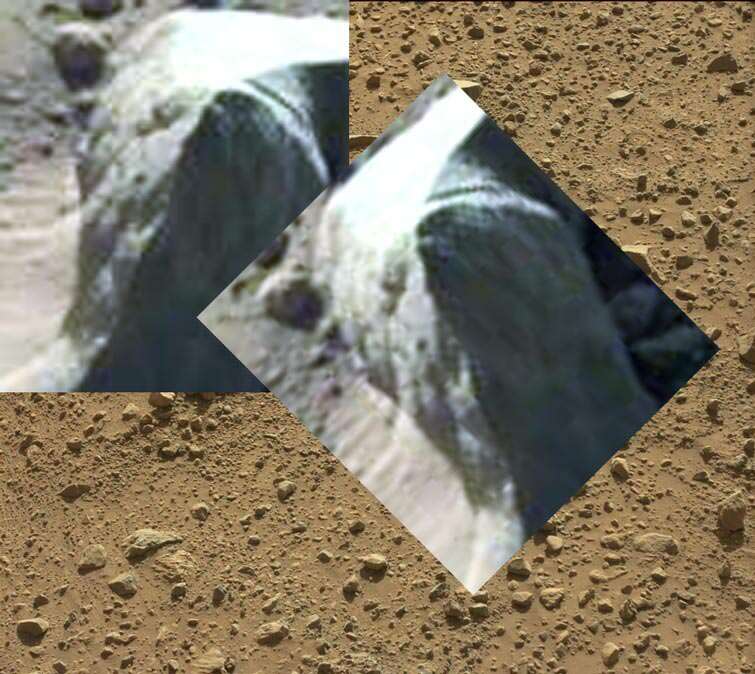 Joe White also raises the possiblity that some of the "rocks" we see on Mars might be insect-created mounds, like termite mounds on Earth. 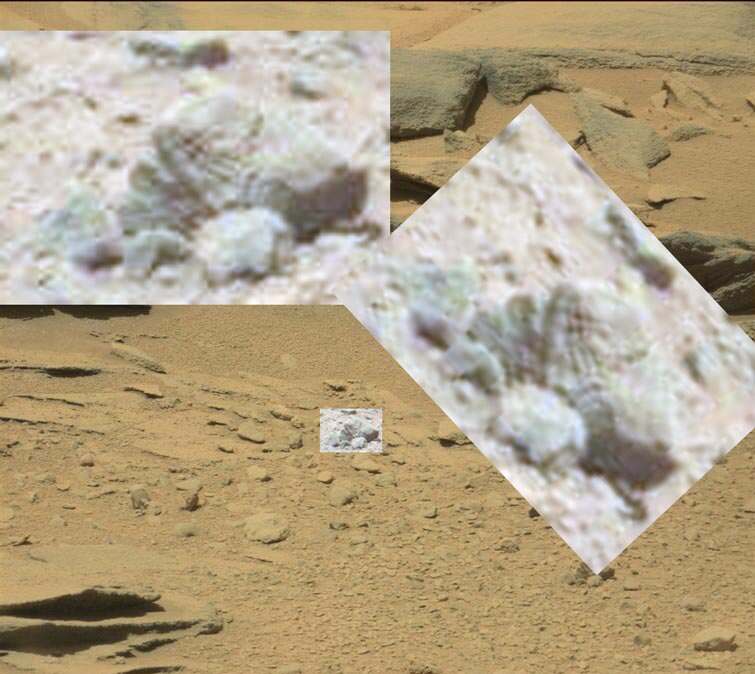 Nice one, Louis, but l believe that both images are plants, the second a reflective rock, and the first, probably a baby fern or plant, which as the video showed, in one image and not the next. 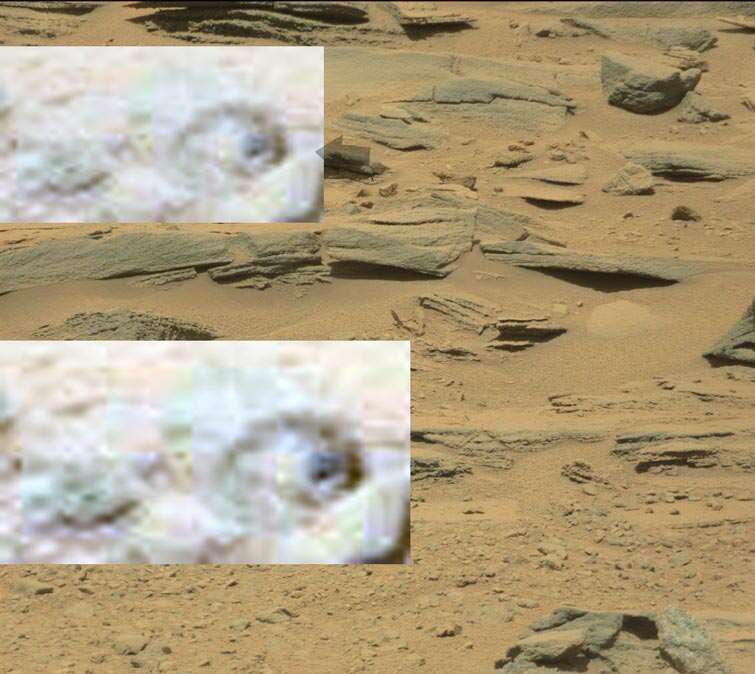 The are thousands of patterns in the two images. What do you mean "both images are plants"? Both? That makes no sense. If you mean the insect-like form we can see is a plant fair enough but it doesn't appear in the second pic...which you then appear to accept. No, l agree that the first one which he believes is an insect is a baby fern, and the second without it, has bee Photoshopped out, (and they clearly did a bad job at that). 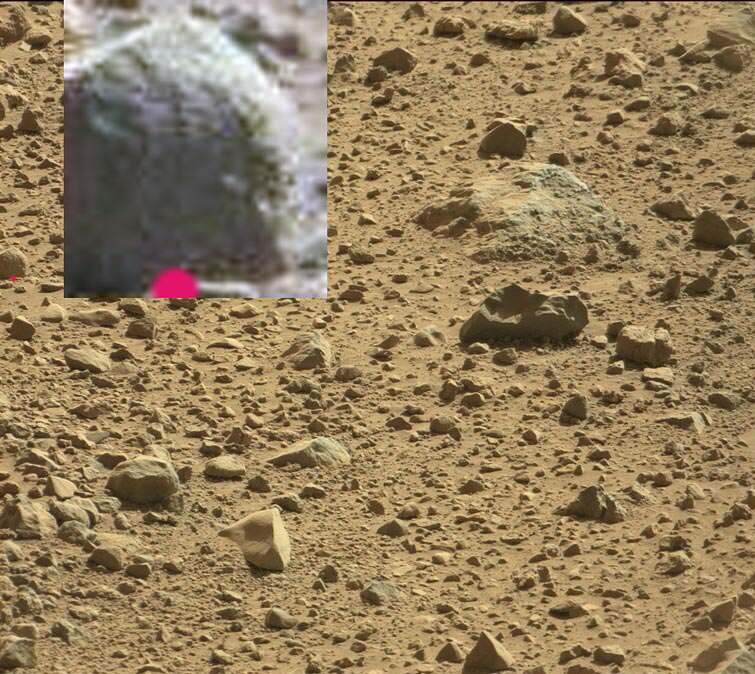 The second one he discussed at 12.38 or the anthill, is probably the rover being reflected back in a freaky rock, but l can't be 100% sure of that. 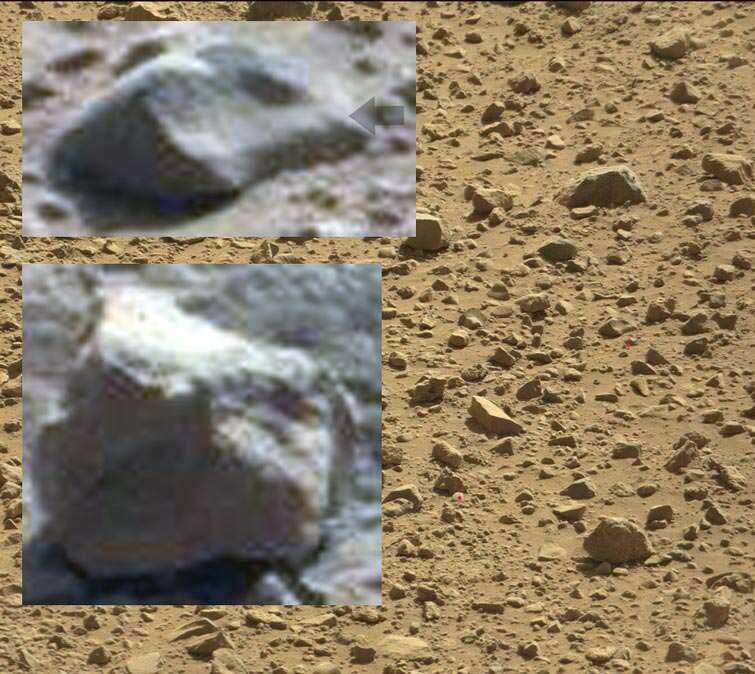 Either way, more solid evidence that NASA is hiding stuff. Thanks again Tmcom for taking the time to upload the links below but I think your effort has not been in vain. 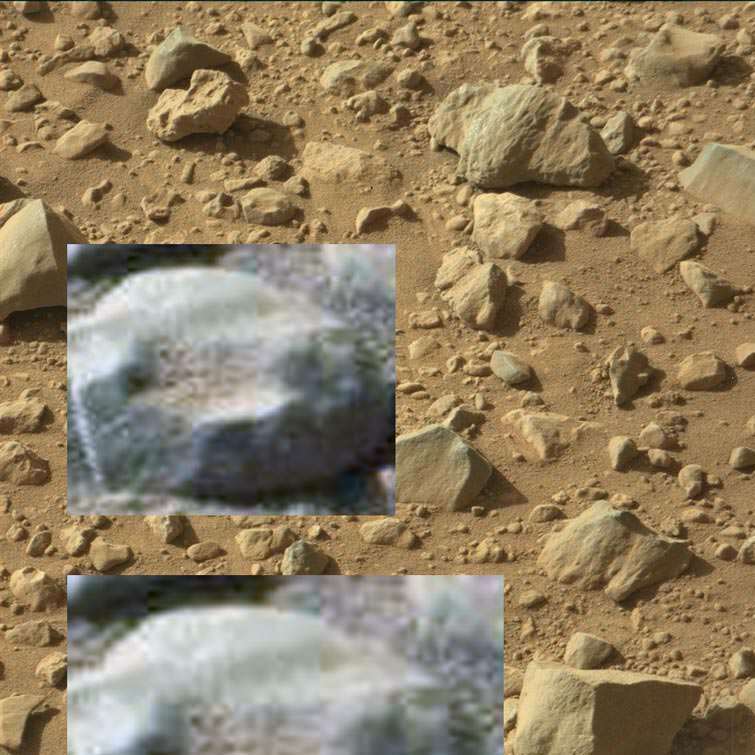 It looks to me as though you may have landed on something very special here guy. 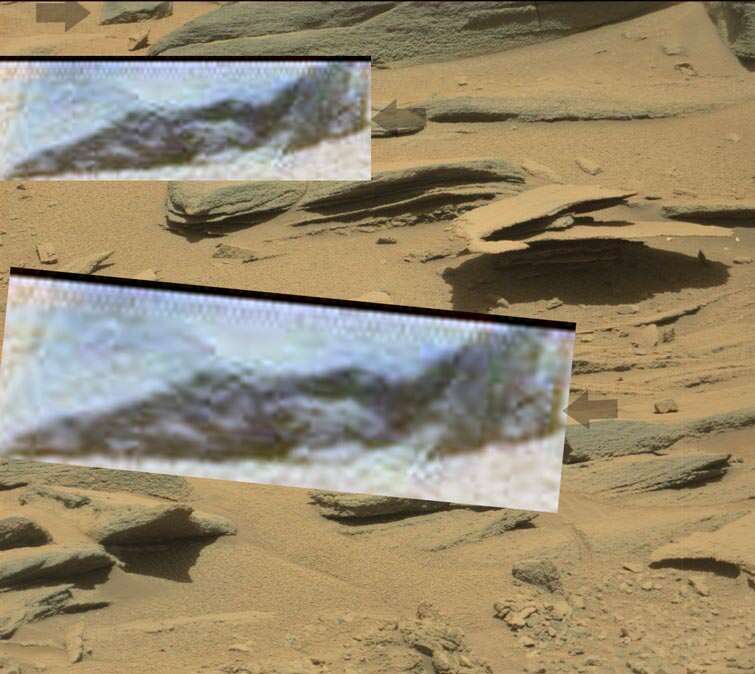 All I've done here is to pay focus on this most strange looking data point which appears to be "draped" over the supporting rock strata, although draped may not be the right word as the anomaly appears to be floating somewhat. 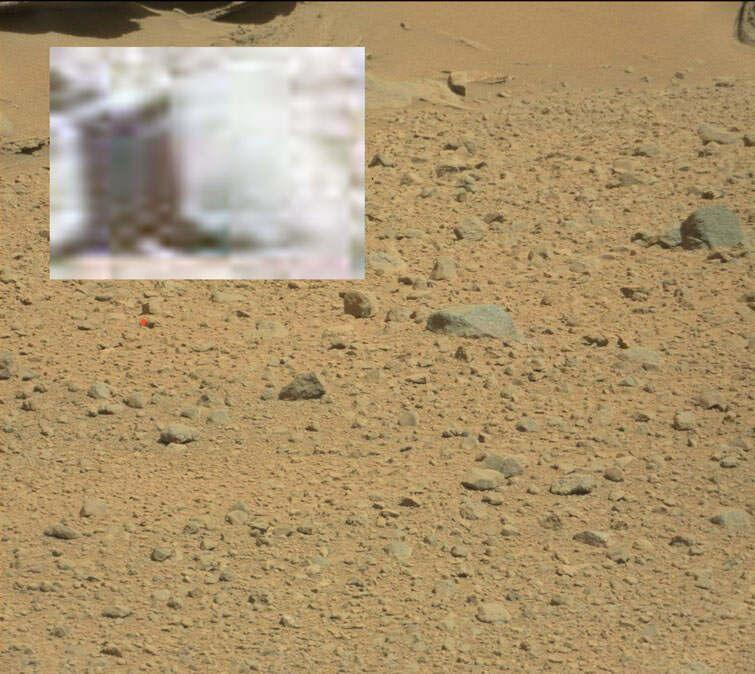 What I also find intriguing, is the defined "ring" over the back of the object. Just visible. 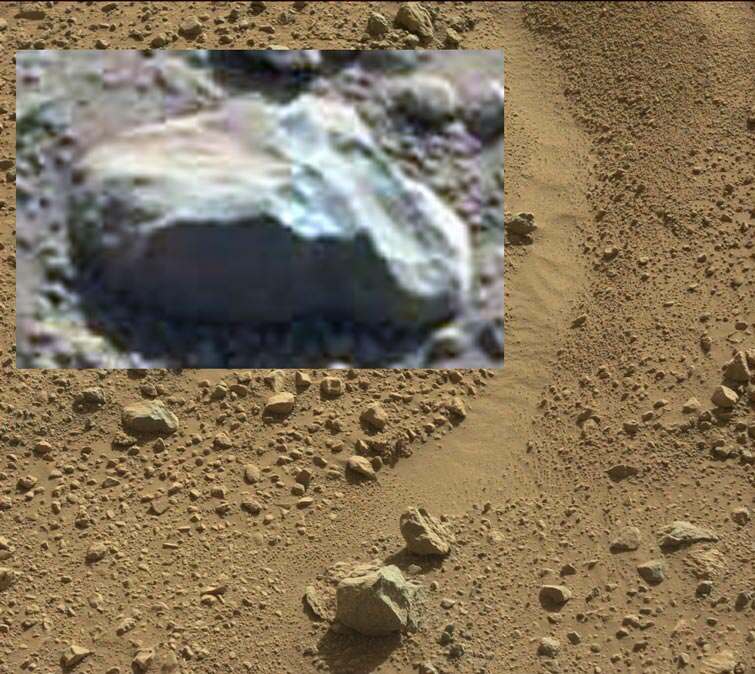 From my perspective, this object could one of several possibilities, the least of which, is the unlike result of geological process IMO. This is where 3-D comes in handy. An "ornament" perhaps? Possibly, l have to be very careful when studying areas of rocks with shadows. This took a while to figure out, but the sun is setting on a distant hill or more likely lake, with glistening off the still water further down. The curved thing, some green so a plant of some kind, but the thing on the left is a plant, strong green. Setting sun, pink/orange sky. And some distant silver glistening buildings. 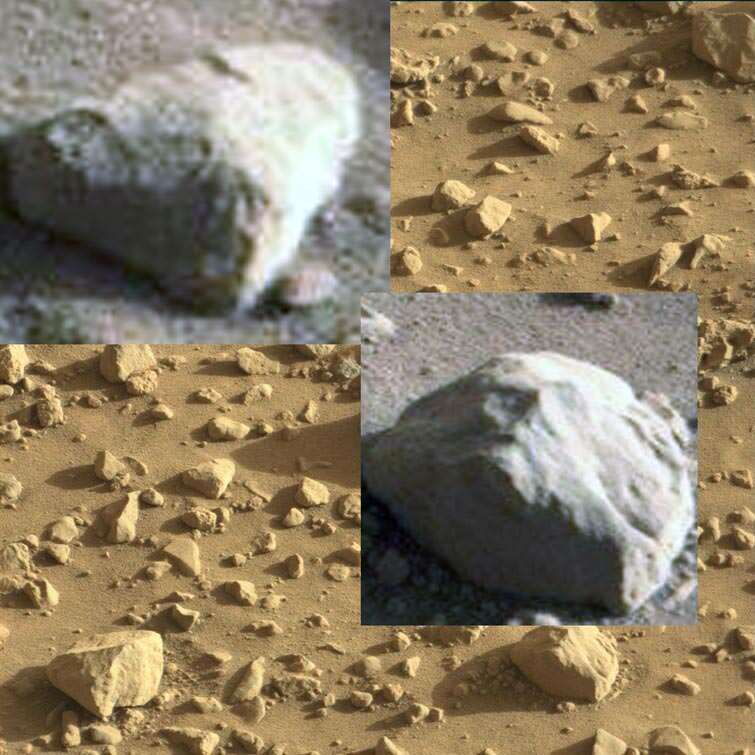 Would be great if we could get humans on the planet to investigate these in detail. 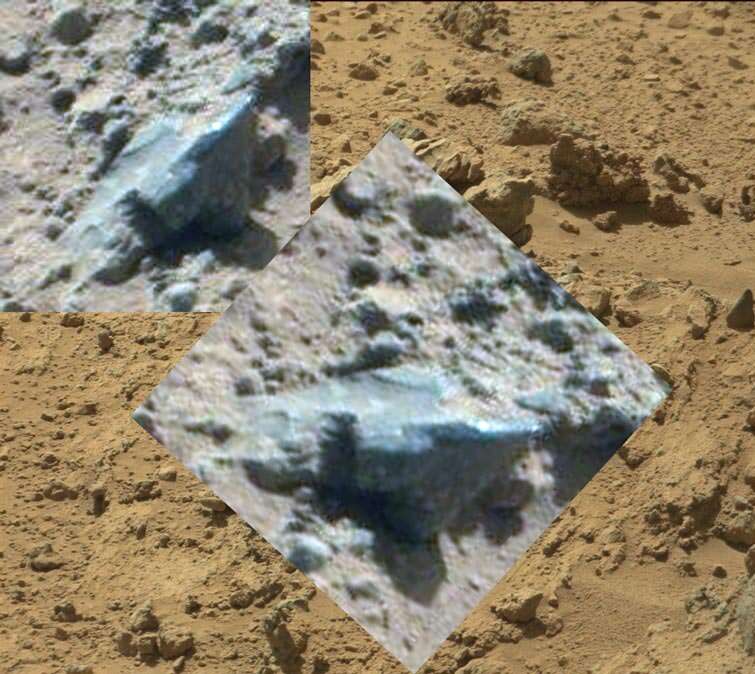 Nice video and some are certainly artificial, not the skull thought, (rover reflection). Best to read the YT comments Spacenut. 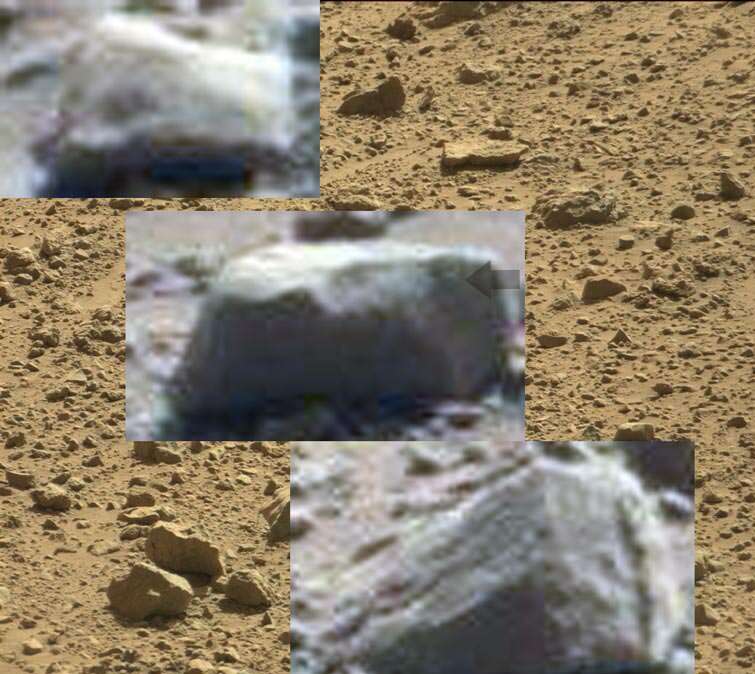 Ok, weird today, had some serious issues with this image. 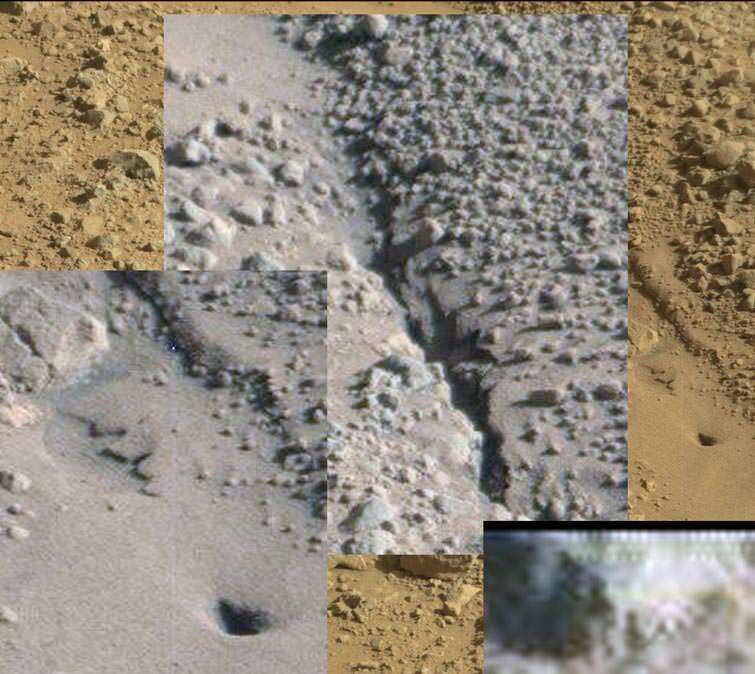 Either my computer or NASA has started to nobble their images? 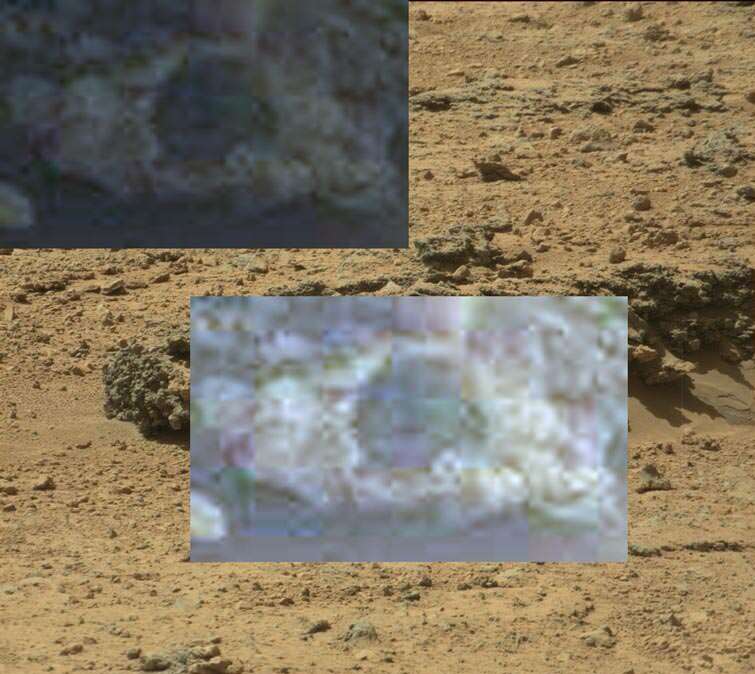 This is the image in question, and gives us a closer look at the plant l showed previously. THis one, sun still setting, and the landscape is still showing green tree's or plants, and a lake. Talking about the myth of Atlantis and the distruction from a story passed on by Plato? Ok, l only read the one where someone said that some global disaster struck the planet a long time ago, which accounts for the stuff everywhere. 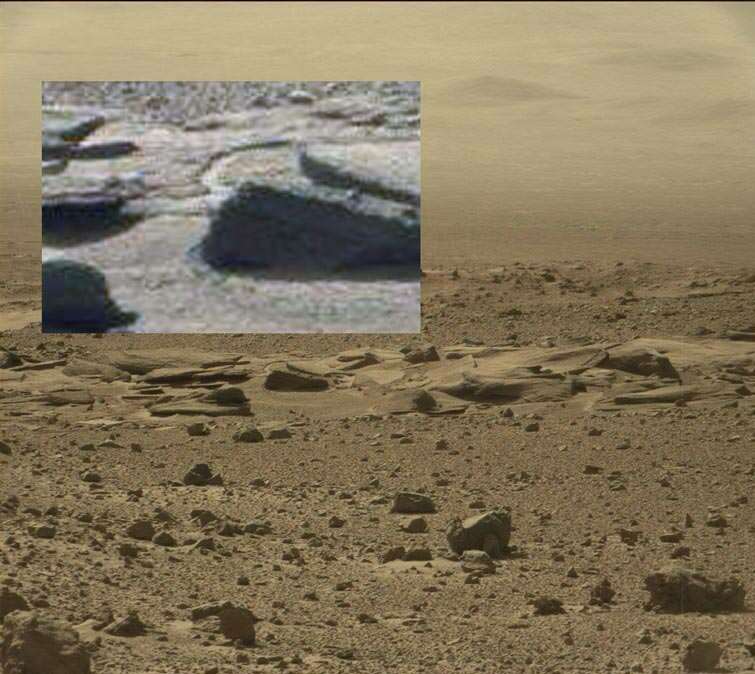 The sun is still setting over the martian landscape, (lake and probably plant on the left). This seems to be depicting a flying craft, probably ancient. Probably related to the Atlantian, giant flying craft? 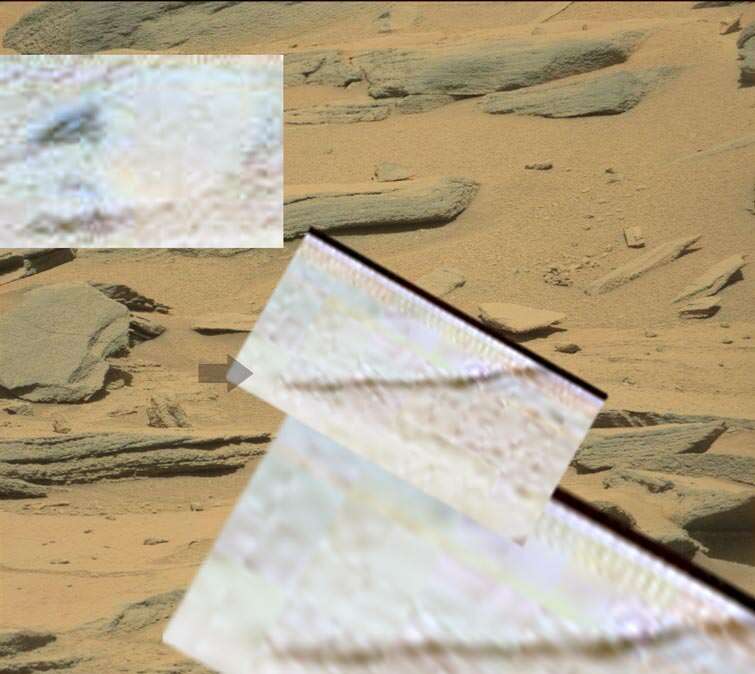 Yes, Layered sedimentary "compressed" is flat, it just looked odd there "wrapped" or "curved". 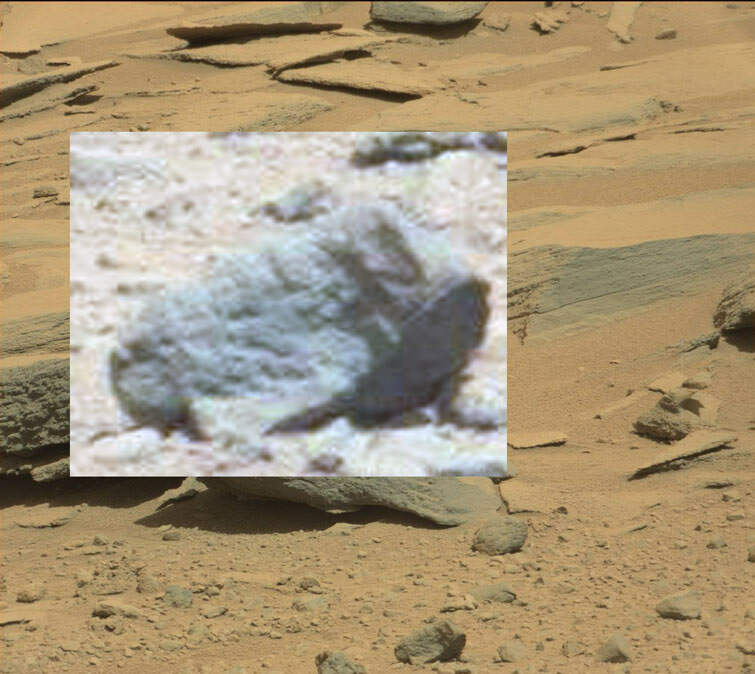 I don't think it's rock, my guess is a drifted dead plant shell of sort. Run through another 20 images, but nothing worth posting. Ok, plants and water today. 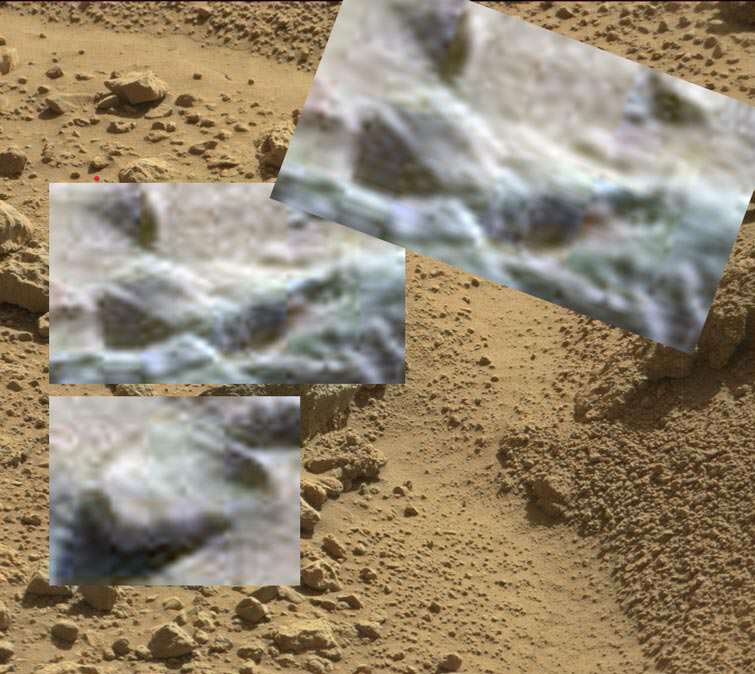 Strong green, and definately not the rover. 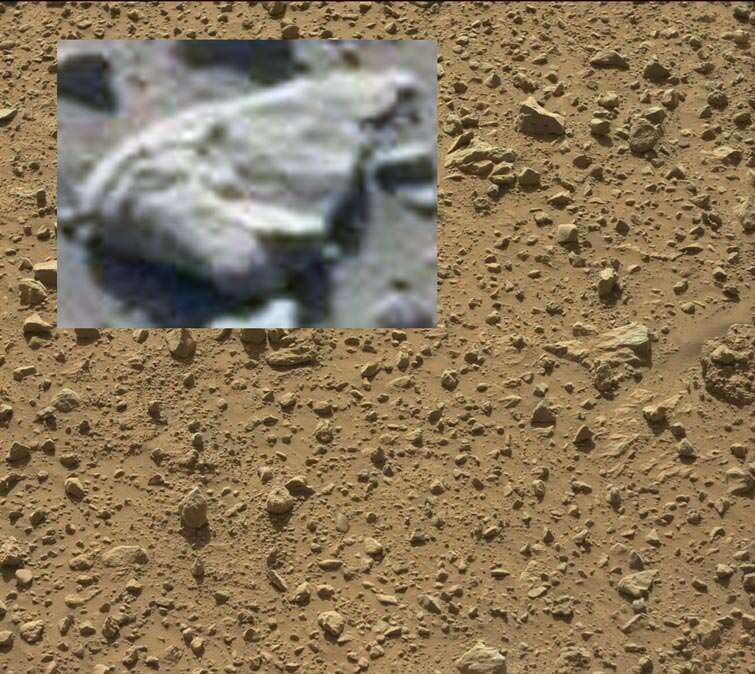 And Mars soil or dirt is still wet. 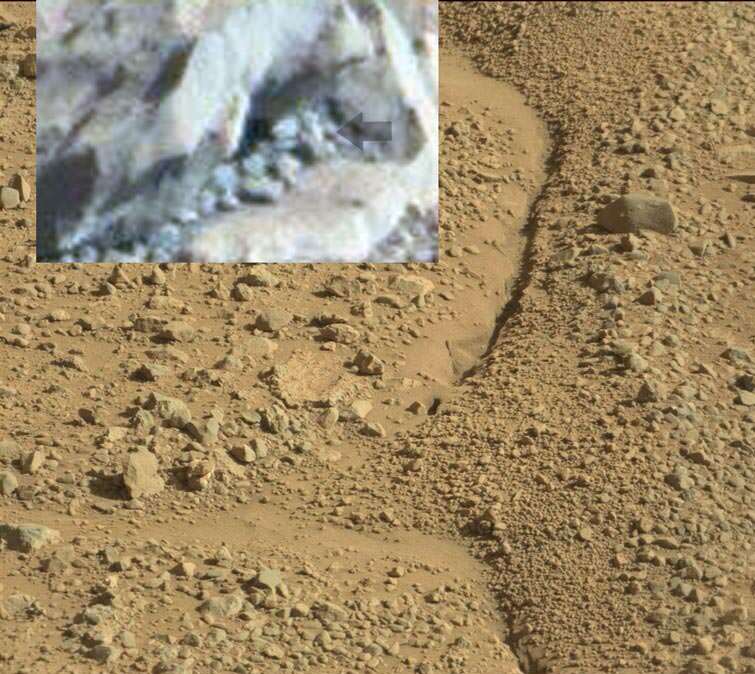 This is an area, which has seen recent water flows, and some of the rocks, have the mud, hugging them, (if the dirt was bone dry, you wouldn't get the mud holding onto these pebbles. Last of the 589 Sol images. First the rovers wheel being ref, back. 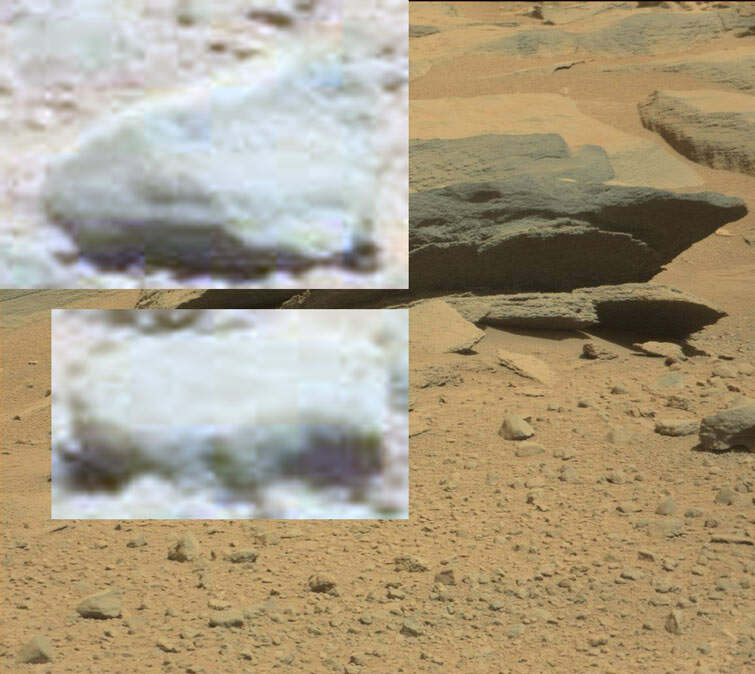 Second a martian raincloud, and possibly rain, too hard to tell. More rain, plants and clouds. Top, raincloud or heavy downpour, bottom image, more ferns. Top, raincloud again, middle, is a rather nice image of the sun setting, over the distant mountain and low lying cloud inbetween the rover and the mountain, which means that especially after a rainly day, (just like on Earth) it gets colder, or cold enough for the clouds to drop down to land levels. 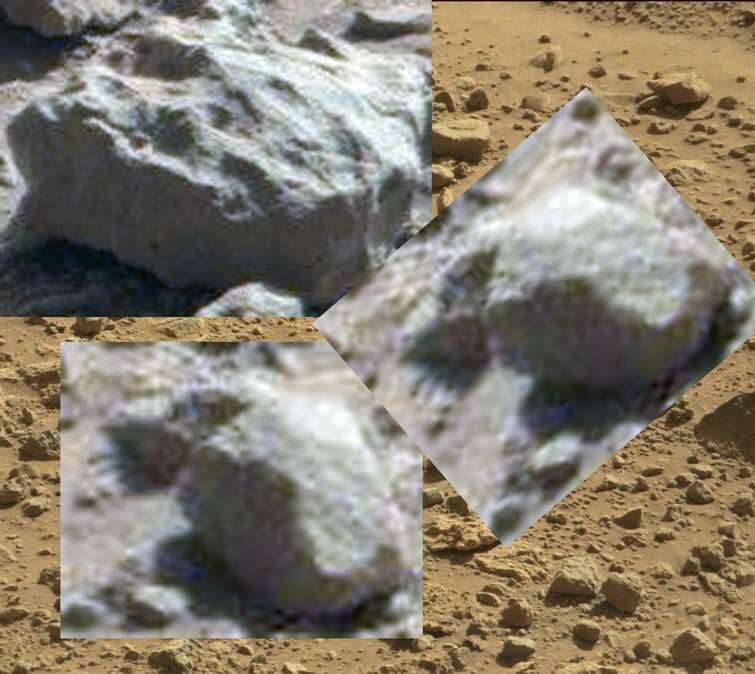 Bottom, could be a martian prickle. This is of course, impossible, lol. 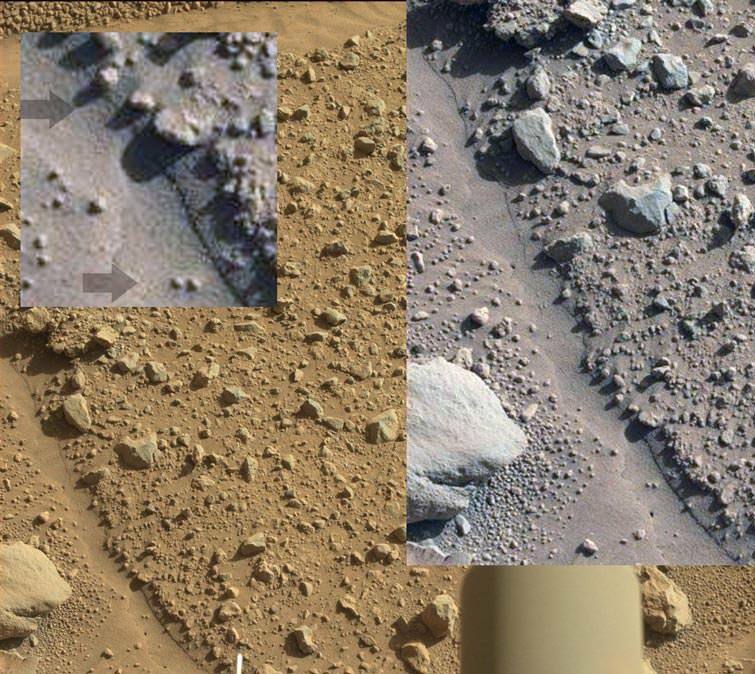 This last image especially shows rain-clouds in the sky, and the top ones, show blue peaking through the overcast sky, or in other words, our sky, overcast or not is a carbon copy of Mars sky. 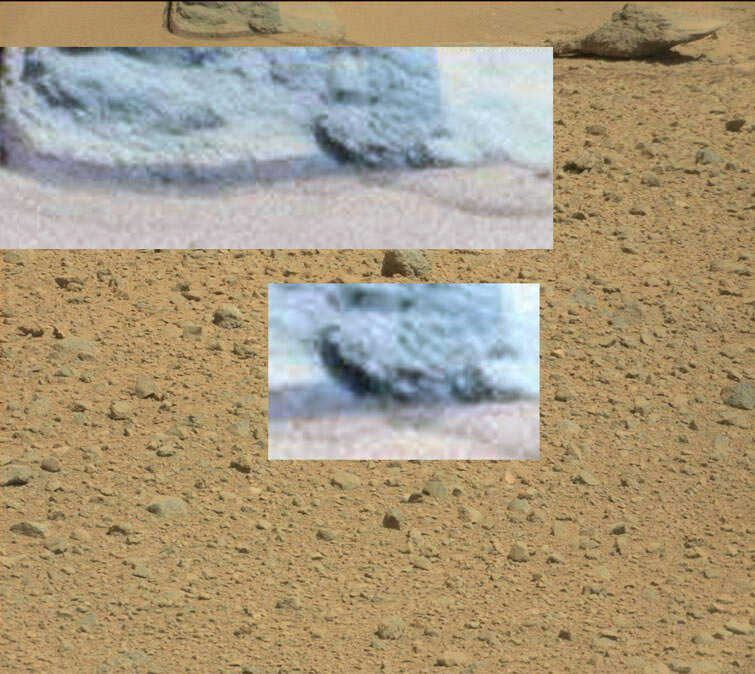 And more plants, with some blue mountains in the distance, (right image also shows the same plants and formations, but more compressed, because of the rock angle). 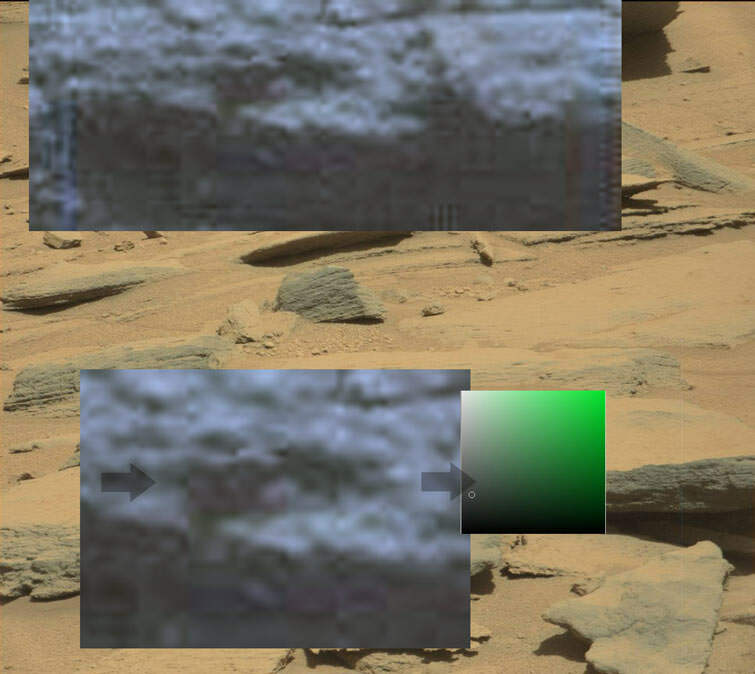 Bottom image, lime green landscape, blue sky and the white blob, probably the rover. 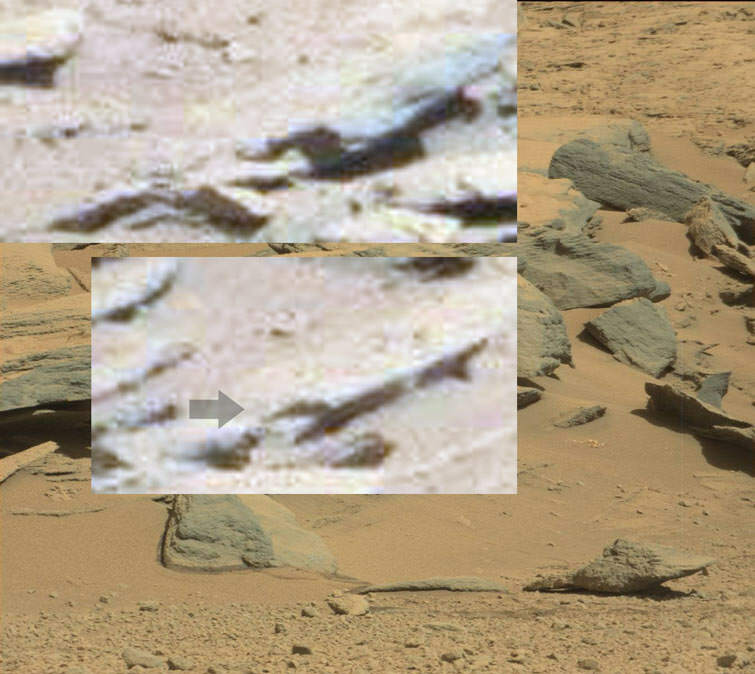 And this the arrow shows an area that is reflecting the sky and parts of the rover back to us, most likely a large puddle.